Now here is an unconventional metal EP of the type we rarely get to here. A group that eschews genres and crafts whole new layers of sound Happening are band who play for themselves and make music that reflects their souls and hearts desires, in fact, its pretty impressive. The raw chaos that characterizes their new EP Birth is powerful and beautiful, reflective of a sound that could define a generation in its strangely organized and bizarrely precise attack, music for 2013, a band who regroup fragments throughout metal to create on strangely cohesive whole. One of the first things that will strike you about this record is the variety of musical styles found throughout. Examples of this include their song Lacks. The different vocal styles seem to intertwine, flowing in and out, crafting something powerful and unique that no other contemporary band can really touch on. This variety of vocal styles (and the use of two vocalists) allows the sound to come across as much more natural and spiritual. Asides from the vocals there are a lot of great guitar riffs. They often have a bit of a progressive touch and help to show off the musical chops of the listener.Yet they always have this unrefined chaotic edge that add a lot of flavor to the songs. 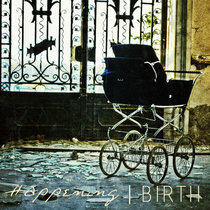 In conclusion Birth is a meaningful collection of five songs that really reflect the band Happening. The songs are veritable vocal triumphs with a variety of styles that just work. Meanwhile the djent tinged guitar riffs help to give the music a modern feel and to show off the chops of the players. So if you want a metal band who are crafting new and unique soundscapes and a genre that is pretty much wholly their own then Happening is the band for you. Creative and powerful I think that big things could be happening for Happening in the very near future!